Advanced scouting is a tactic that has been practiced in the NBA for quite some time now. However, like most trends in the pros it has trickled down to the college level and even high school level. In the pros, organizations have several advanced scouts that are continuously out watching upcoming opponents live. The goal is to gather as much information as possible to share with the team’s coaching staff. This information includes play calls, defenses, after timeout actions (ATO’s), and even sub rotation. The advanced scout then compiles all the information and sends it to whichever assistant has that opponent’s scout. Assistant coaches divide up the schedule so each assistant has 20-30 scouts over the course of the season. 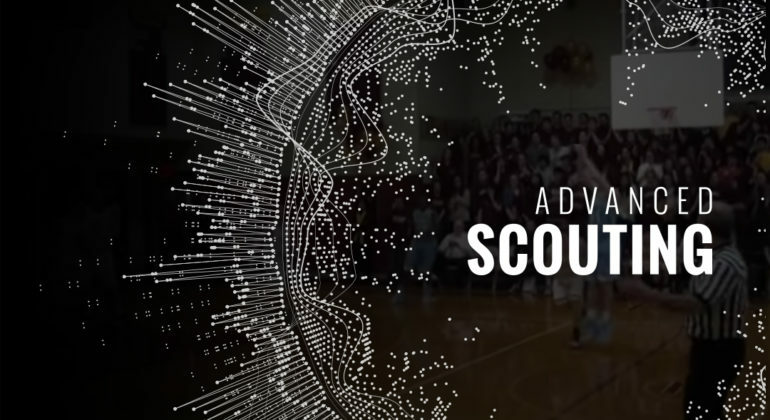 The information provided by the advanced scout provides a foundation for coaches to develop a game plan including match-ups, defensive schemes, and offensive adjustments. Here at Montana State University Billings we have implemented advanced scouting this season. Fortunately, we have a four man staff, including three assistant coaches. Our Associate Head Coach, Brad Schmit and myself split the scouts. We usually play two games a week so every week each of us have an opponent to scout. Our other assistant, Kyle Erickson provides us with advanced scouts. Coach Erickson is usually watching film on the next week’s opponents, always scouting two or three games in advance. Early in game weeks Coach Erickson provides Coach Schmit and myself with the advanced scouts. We then create our scouts and game plans using the advanced scout as a guide. Our advanced scout at MSUB Basketball consists of four segments: Offense, Defense, Special Teams, and Notes. Each segment consists 6-8 questions regarding the opponents techniques and tendencies within that area of the game. The questions are specific and provide answers that are specific to what our team needs to know. For example, we run a lot of actions with a perimeter on ball for our guards so the advanced scout includes our opponent’s primary and secondary POB coverages. Other questions include the opponent’s post coverage, are they packline or pressure man to man, do they deny reversals, and what are they doing for ATO’s. All the information provided by the advanced scout is tailored to our team’s philosophies. Attached is a copy of Montana State University Billings Men’s Basketball Advanced Scout. Feel free to download the MSUB Advanced Scout and make your own tailored to your teams philosophies.